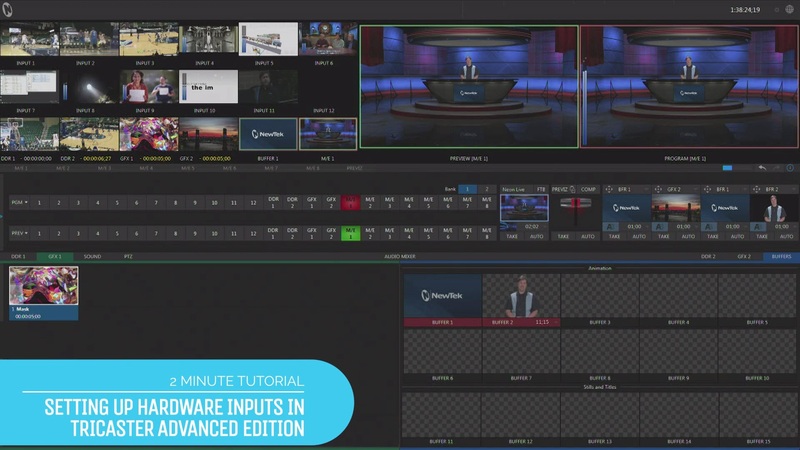 With this tutorial, ClassX presents their integration of NewTek NDI IP video transport technology into LiveBoard, their live graphics playout software. This video tutorial shows how ClassX engineers have managed NDI output and inputs within the product, and a usage example. 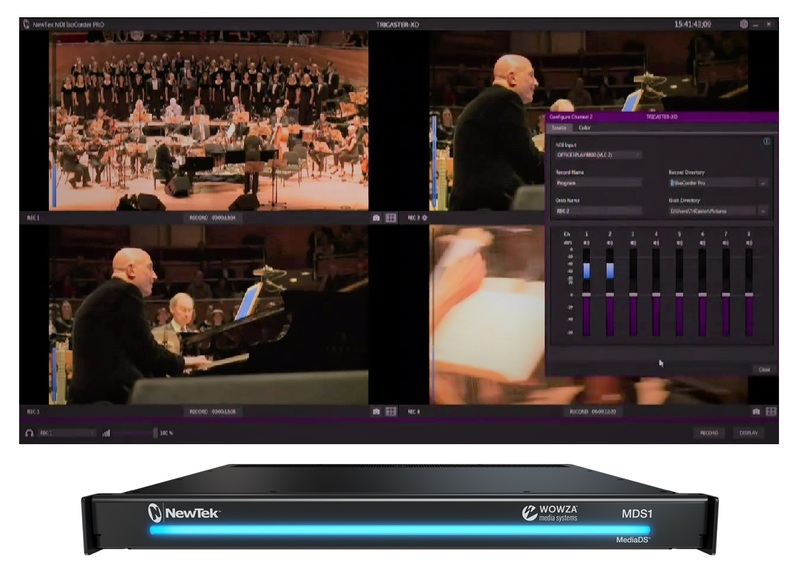 NewTek’s NDI technology takes a relevant place in all ClassX Broadcast Applications for both input and output support and for macro automation in TriCaster and NewTek IP Series. 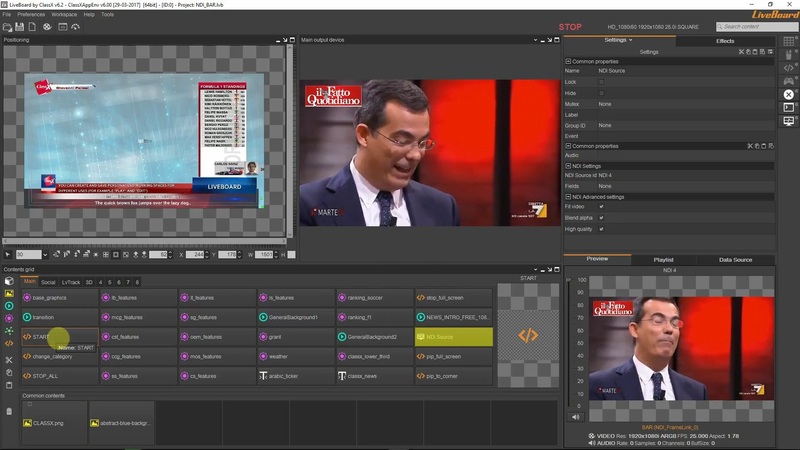 NDI video streams can be wrapped to 3D objects, moved and squeezed in real-time with the power of ClassX template editors. Audio is included. NDI sources will be kept integral, at their best native quality. Auto-sensing, field-polarity-aware implementation will take any format change into account. Audio will be interpolated to the output device’s rate if necessary. NDI output in LiveBoard is just like any other physical I/O device. Just select it from the list, specify the output resolution and you’re on-air. No need to re-start.